David didn't expect much from his first day at a new school—but it seems he had "enemies" even before he got off the bus. With his family falling apart, moving to a new area brings challenges and opportunities, particularly great surf and a nearby forest seemingly made for mountain biking. With new friends, David confronts his own fears, as well as the tasks of forgiving and connecting. 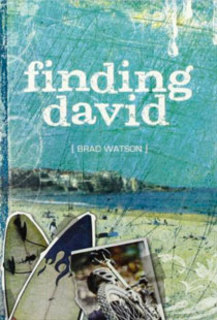 Finding David is a story of relationships, family, friends and taking risks for them all. "Seriously, the book is good."